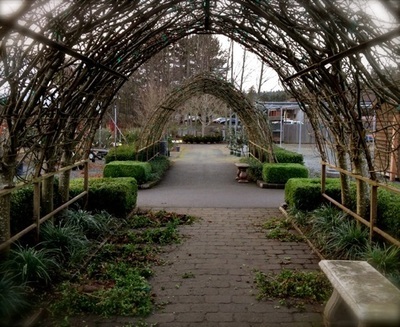 Sketch by Sue Van Etten of Whidbey Island Sketchers. 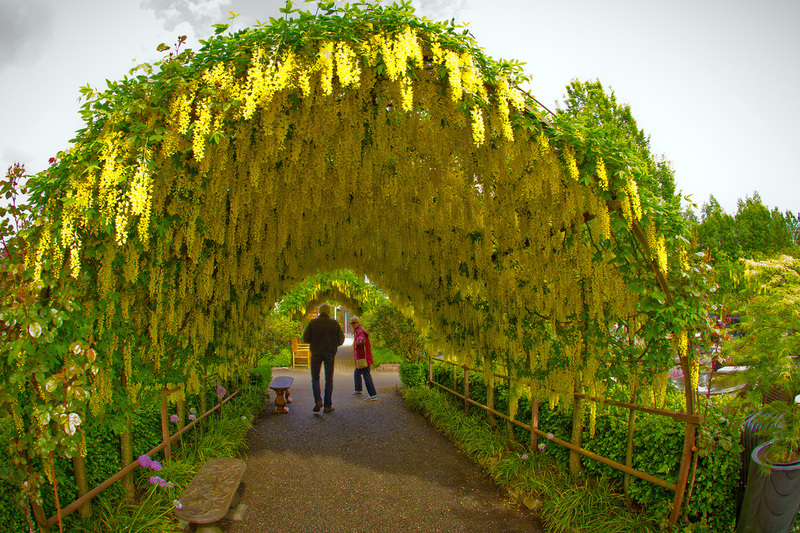 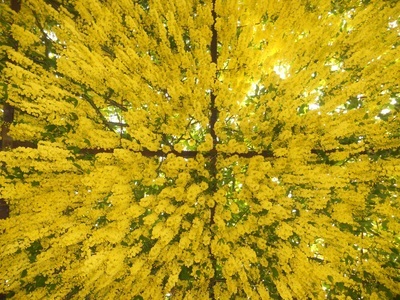 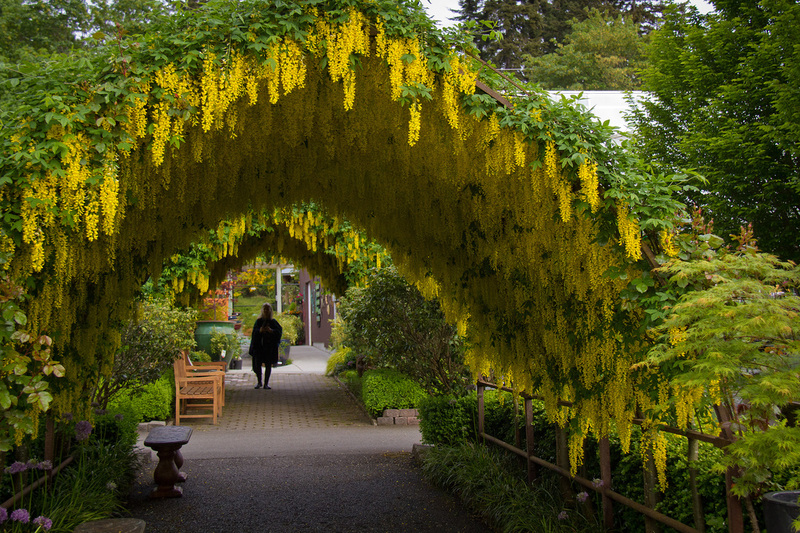 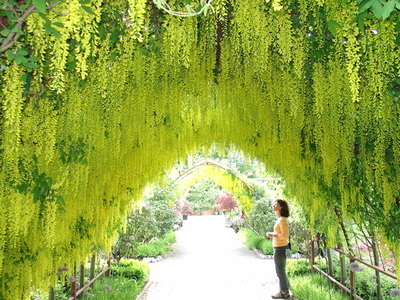 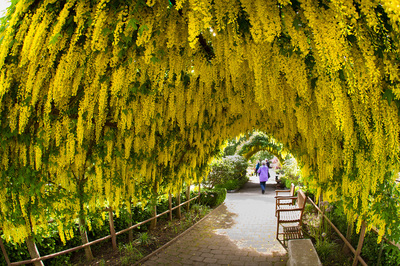 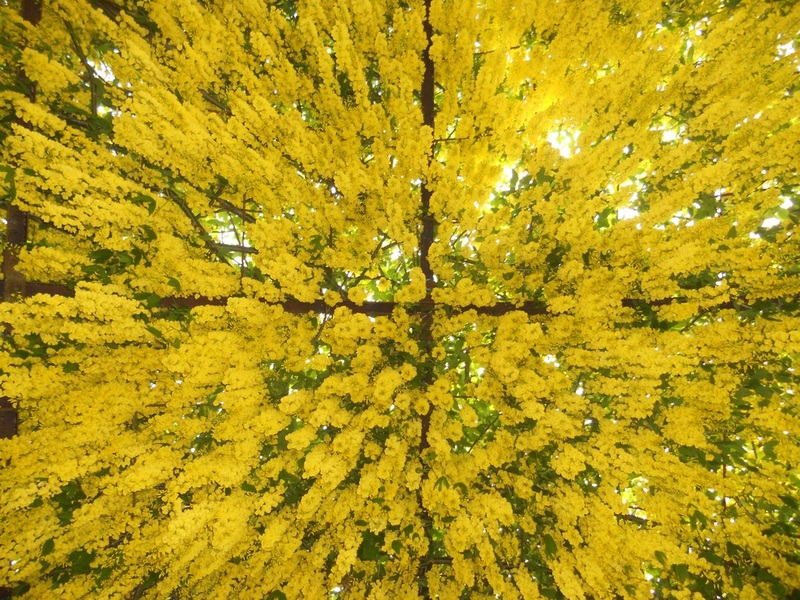 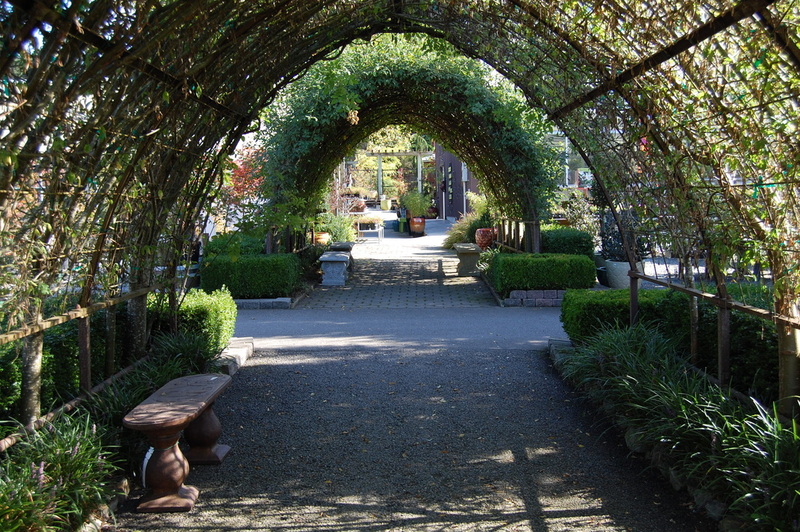 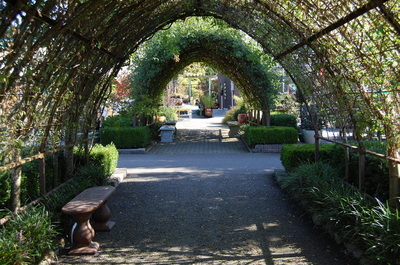 Nearly 20 years ago, Maureen Murphy, owner of Bayview Farm & Garden became committed to creating a living tunnel of Laburnum trees. 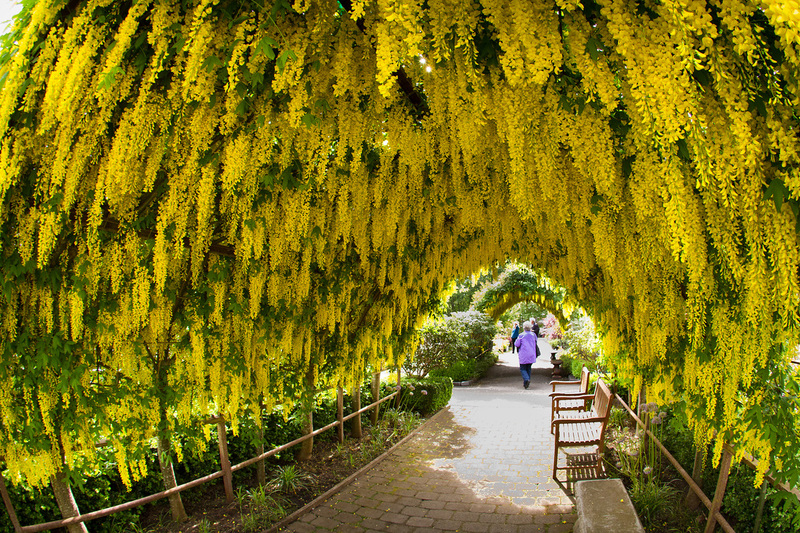 It didn't look like much those first few years but gradually, as the trees grew and the branches were lovingly and dutifully pruned and trained by the committed members of the BFG staff, the Laburnum Arbor has taken on a life of its own. 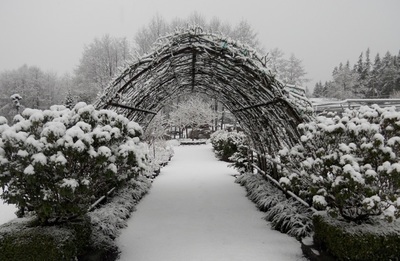 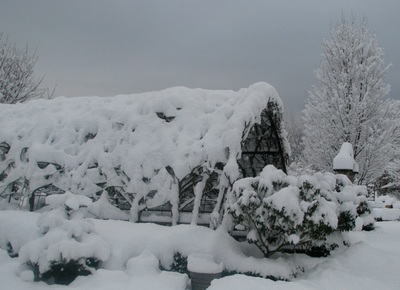 It takes three or four people at least a solid week or more, up on ladders, with the cold, wet rain and wind of winter in their faces, to prune, re-weave and re-tie the branches. 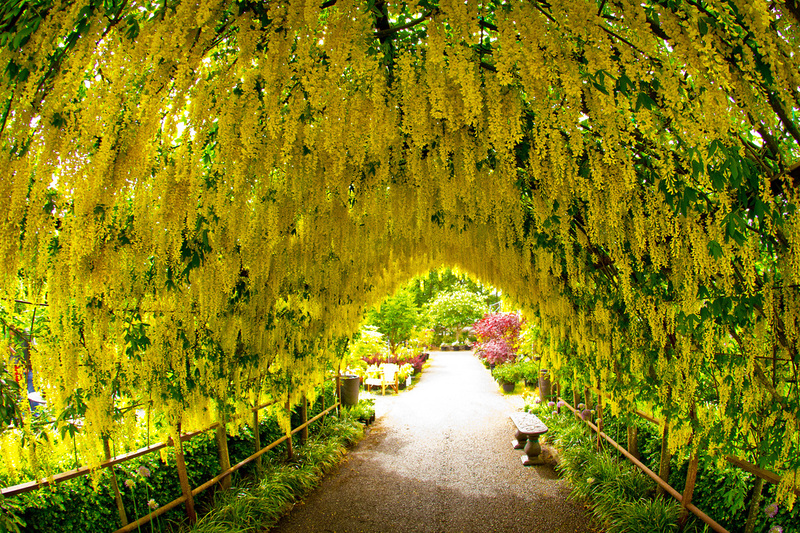 It is a labor of love that rewards us with the most wonderful display of beauty every late spring. 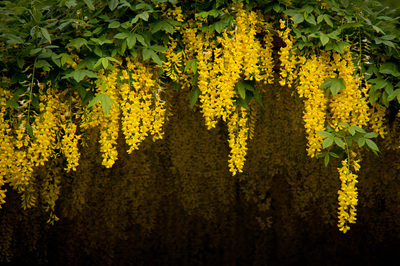 It is especially beautiful in the evening as the low-hanging sun casts its rays through the fragrant draping blossoms. 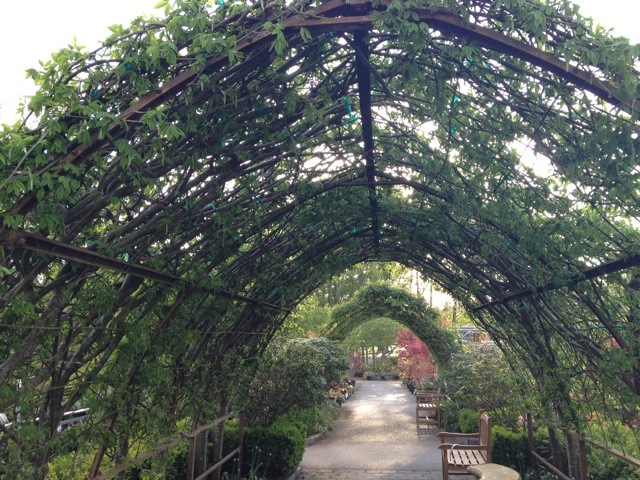 Come and see our "Golden Chain Tree" Laburnum Arbor in person in all of its stages. 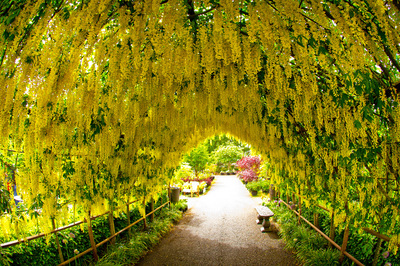 A perfect spot for engagement photos.